Remember to come down and check us out! New treasures being brought in each and every day! Hey there, Pickers! Long time no speak! 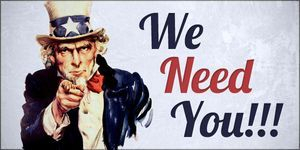 Just a little reminder to all our dealers... WE NEED YOU! 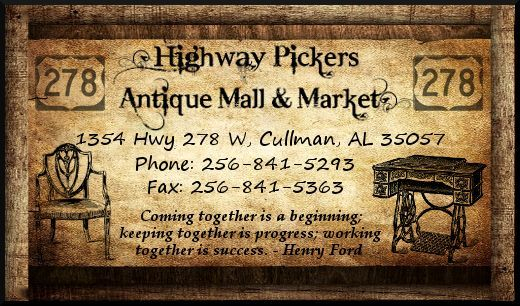 If at any time you plan on being at Highway Pickers all day, or have a free day you are able to help, Highway Pickers is asking that any dealer who is willing to volunteer to please help out. During this time, you could help us out by unlocking showcases during busy times, wrapping merchandise when the registers get backed up, and doing security walkthroughs. If every dealer was willing to give one day every month, maybe even every OTHER month, we would most likely be able to start opening again on Mondays and prevent ANY future issues! This is strictly on a volunteer basis, so if you are able, simply come down to HP and sign up at the front desk! Thanks, and have a wonderful week! Licensed Retailer of Blackberry House Paint! HAVE TO TRY IT TO BELIEVE IT !! COME ON OUT TO HIGHWAY PICKERS ANTIQUE MALL AND MARKET AND GIVE IT A SHOT! !